I love to eat popcorn especially if we watched a movie with the family. I like the plain one without butter as I feel like it gets soggy when you have butter on it. Another kind of popcorn that I live to eat is the caramel corn, whenever my mother in law makes one; I dive in the bowl and just choose to eat the whole bowl of caramel corn. Which, I shouldn't because it has much sugar in it that I have to watch so I won't end up being a diabetic. However, if I don’t eat that often I assume a lot of amount at once would not hurt me. I have the recipe my mother in law gave me 5 years ago. Yet, I have been too lazy as the day comes to make caramel corn. Although; I have been baking, cooking new dish yet never tried making caramel corn until one day. I have the urge to eat yet, I want a freshly made. Therefore, I decided to search the simplest recipe online. I found one and I’m ecstatic the next day. I’m glad I didn’t fail the first time attempt and now I can make more than just one bowl if I want to. I can eat caramel corn anytime I want as long as I have the ingredients with me. The out come... they really are good. With the courtesy from allrecipes.com here is the recipes so you can enjoy the good of freshly make caramelcorn too. Spray large shallow roasting pan with cooking spray. 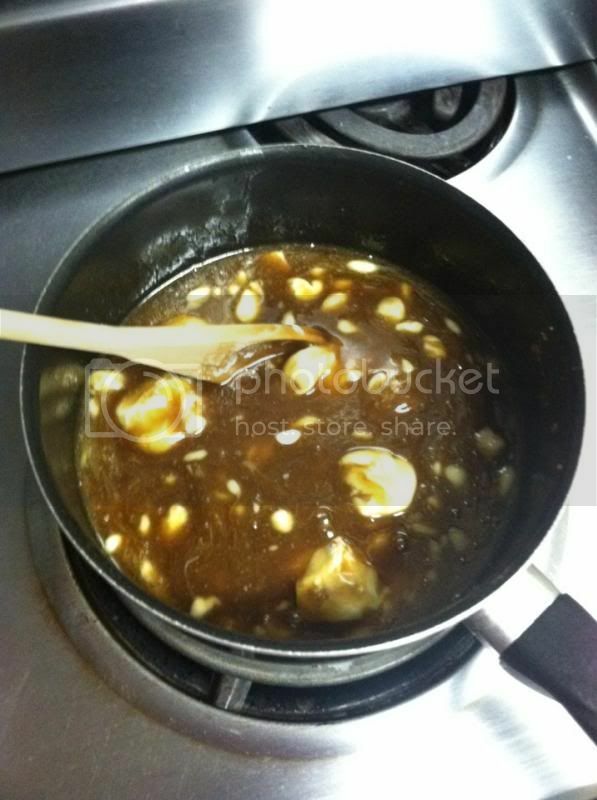 Add popcorn and place in preheated 250 degrees F oven while preparing caramel. Boil 5 minutes without stirring. Remove from heat. Stir in baking soda and vanilla; mix well. 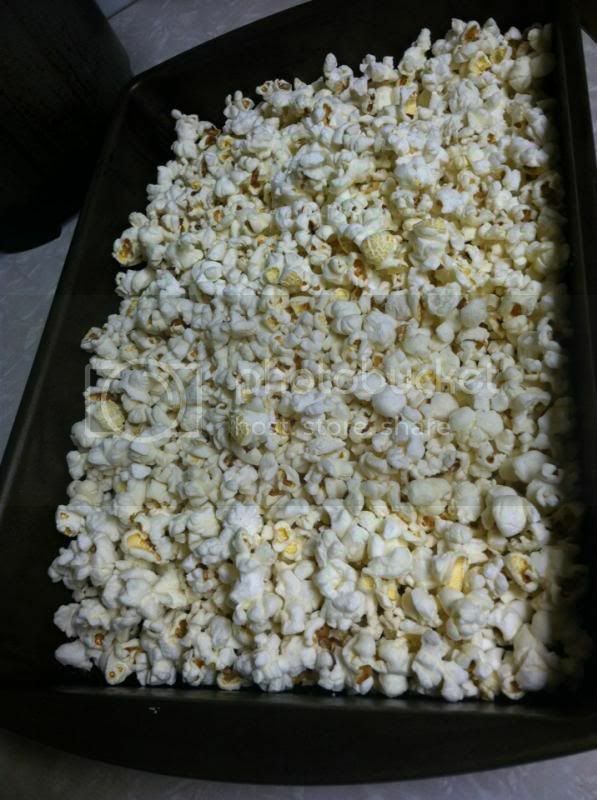 Pour syrup over warm popcorn, stirring to coat evenly. I am already diabetic so I would not dare to make this---I am very aware of my limitations and not eating the entire amount I would make is one of them!! This sounds both easy to make and good!! 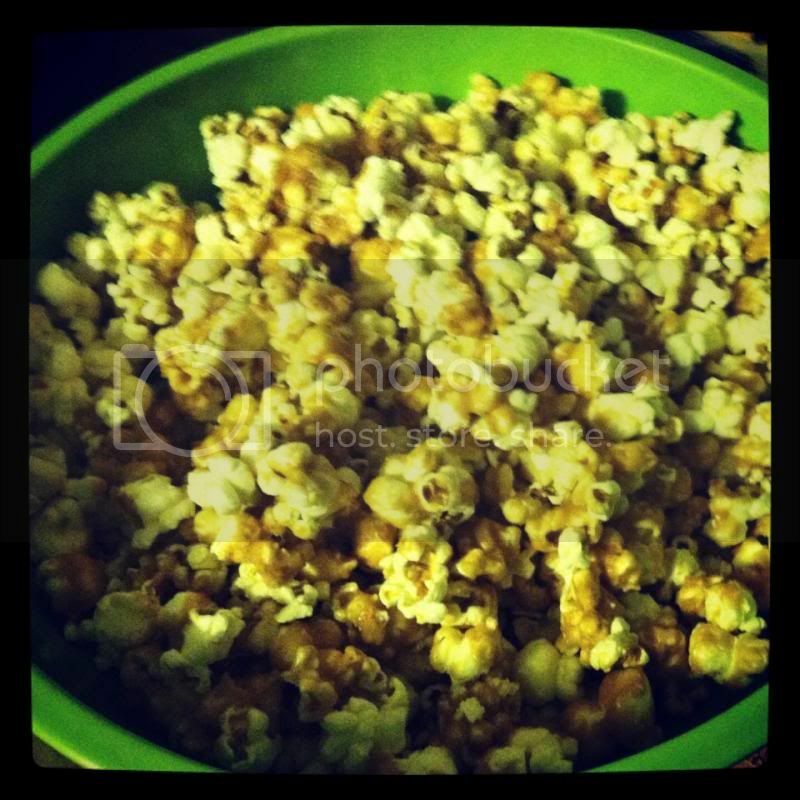 Now I have a craving for caramel corn, looks so easy I will have to try these soon! Wow, I want some. I love pop corn! I love caramel-flavored popcorn too..but only once in a while. I am wathcing my surgar intake.